HouseBuyerOmaha.com has the power to help you sell your home fast. We help homeowners throughout Omaha, Nebraska sell their properties quickly to get you the cash you need. 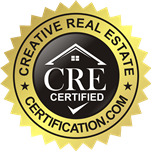 We are highly trained in the real estate industry and have vast knowledge of these local areas. In turn, this means that we know just how to get the highest value for your home so that you can receive the most for your home. We care about our clients and want to achieve both our goals in selling your home. Fill out the Fast Cash Offer form located on our website. We won’t let you down. Call us today to get started at (402) 957-1345.